This year FirstNet, the first responder cellular communications network, is coming online after nearly 15 years of development. This will mean a major change in the way some law enforcement agencies and officers conduct their communications. As FirstNet matures it has the potential to end cellular logjams that block critical first responder calls at events and incidents, lessen the impact of communications interoperability problems that plague public safety operations, and improve real-time situational awareness for officers. But first will come the baby steps as more agencies adopt this communications tool. Here are some things you need to know about FirstNet that will help you decide if this communications tool is for you or your agency. In the months and years after the 9/11 attacks, the ability of various public safety agencies to communicate with each other when responding to major incidents became a major concern. Interoperability was the buzzword of the era. A proposal for a dedicated first responder network grew out of the need for interoperability. About 10 years ago most of the television broadcasters in the United States were required to switch from analog to digital. (You may remember having to acquire a digital converter for your analog set.) This freed up a large amount of broadcast spectrum in the 700 MHz band. Much of this radio spectrum was auctioned off to cellular phone companies. But some of it, Band 14, was reserved for FirstNet. FirstNet is short for the First Responder Network Authority, which was created in a 2012 tax bill and is operated under the Department of Commerce. Last year FirstNet held an auction to determine which cellular provider would gain access to the FirstNet spectrum in return for building the first responder network. AT&T won the auction. So FirstNet is now a public-private partnership. Earlier this year FirstNet announced the launch of its nationwide core, which means essentially the system is now live. The FirstNet core is built on entirely separate hardware from the standard AT&T cellular system. This separates all FirstNet traffic from AT&T's commercial traffic. 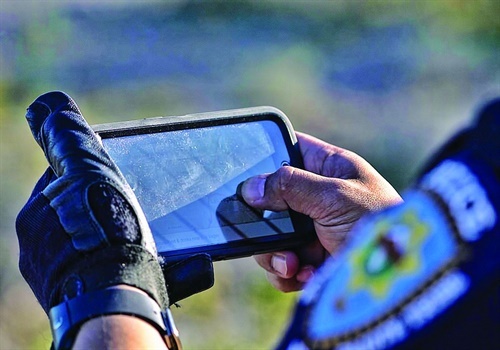 "It's like having a superhighway that only public safety can use," FirstNet says. Each state and territory was given the opportunity to opt in to the FirstNet network or build its own. To no one's surprise, none of them chose to build their own. FirstNet service was selected by all 50 plus the District of Columbia and five territories. Now that so many states and territories have opted in to FirstNet, just about every law enforcement officer in the country can sign up for the service. This can be accomplished one of two ways: either the entire agency can sign up (more about that in a minute) and/or the individual officer can choose a FirstNet plan for personal cellphone service. In order to qualify for individual FirstNet service, each officer's status must be verified by his or her agency. Cost of the service depends on the individual plan selected. In addition to individual officers signing up for FirstNet service, whole law enforcement agencies can choose to implement a FirstNet communication system. A good example of this is the Brazos County (TX) Sheriff's Office. Very few law enforcement agencies have as much experience with FirstNet as Brazos County SO, which shared access to a 2017 first responder LTE experiment in neighboring Harris County that coincided with Houston's hosting the Super Bowl. So when Texas opted in to the FirstNet network Brazos County SO was one of the first agencies to sign up. Sgt. Josh Hearen says the agency's desire for FirstNet capabilities was driven by its experience with communications issues during Texas A&M football games. During and after the games, cellular service experiences a significant drop off in the stadium area as an additional 50,000 people try to access their providers' networks. Rather than have each individual deputy sign up for FirstNet (something they are still free to do), Brazos County SO chose to build an agencywide FirstNet solution. 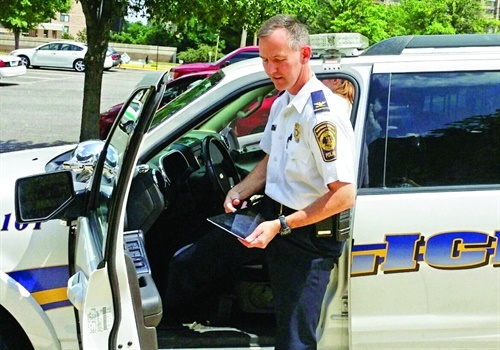 Each of its patrol vehicles now has LTE modems that provide a mobile broadband network for a variety of devices, including computers, tablets, in-car video systems, and ticket writers. "Each one of our patrol vehicles is now an LTE hub," says Hearen. He explains that this gives patrol deputies and investigators the ability to have their own dedicated Wi-Fi network at any scene. They can even stream video from car to car or from their patrol vehicles to a command center and deputies on the scene can access the live feed from any of the county's surveillance cameras. Perhaps the most important thing to know about FirstNet is what makes it different from any other cellular provider. The answer is priority and preemption. 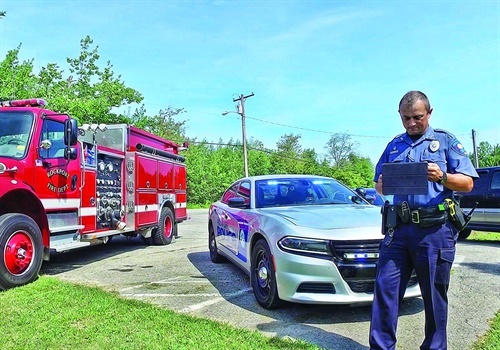 AT&T's agreement with FirstNet allows the company to use the spectrum for traffic from its commercial customers but first responders have priority. A special SIM card in the FirstNet subscriber's phone or other cellular device tells the network that it has priority. At high traffic incidents or events, this priority can even result in preemption, meaning the non-FirstNet user loses access to the network if the bandwidth is needed for FirstNet customers. Because FirstNet offers dedicated bandwidth to first responders, it can handle heavy data throughput that would choke commercial networks. For example, FirstNet users can live stream video from one officer's device to another without fear of buffering or signal failure. This means officers can share real-time intel with supervisors. Perhaps more importantly supervisors, dispatchers, and other sources can send information such as building floorplans and other critical data to officers in the field. An officer from one area of an incident can even stream video of that scene to an officer at another area of an incident. This enhances situational awareness and officer safety. FirstNet is just now launching, so we really don't know all that it's capable of yet. But we do know it has the potential to change the way many law enforcement operations are conducted. Truthfully, the hardware—the phones, tablets, and cameras—has yet to catch up to FirstNet's potential. 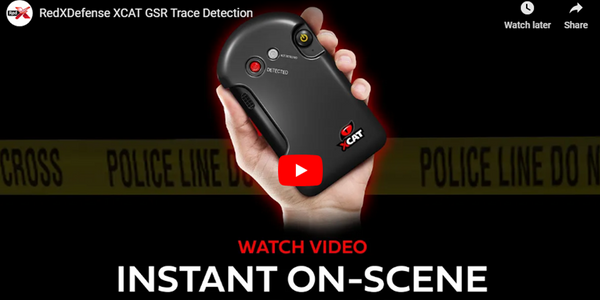 The first thing that is sure to come from this is more streaming video capability from body-worn cameras. And somewhere down the line could dedicated first responder networks and cellular devices supplant the standard police land mobile radio? That's a question that remains to be answered. What we do know is that a dedicated first responder communications network such as FirstNet has great potential to improve public and officer safety. To learn more about FirstNet, go to https://firstnet.gov.